Liverpool Football Club has today announced that it will be delivering a new youth coaching project in China. The programme, which will initially be provided to a selection of schools in the city of Kunming, has been organised in partnership with the Kunming Municipal Bureau of Education. 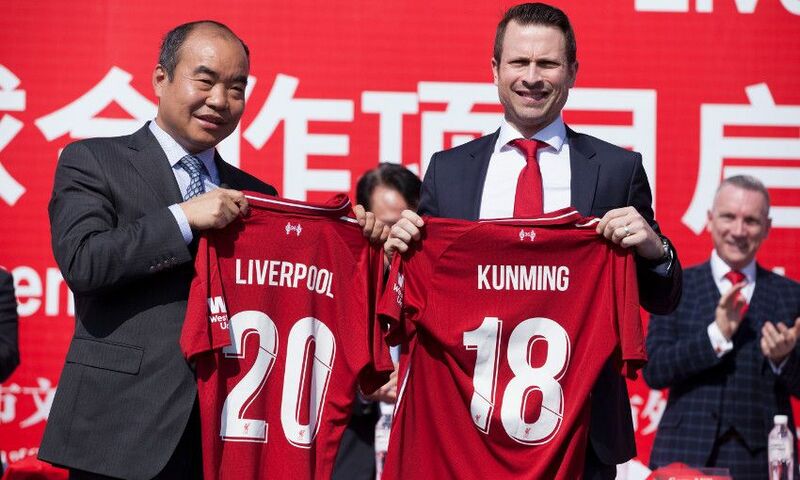 Daniel Reece, head coach at the LFC International Academy in Liverpool, has relocated to Kunming to oversee the project, which is a combination of player development and education for local coaches - teaching them how to play and coach ‘The Liverpool Way’. The project’s mission is to develop the participants both on and off the pitch; encouraging them to get active and improve their football skills, while also improving life skills such as communication, teamwork and leadership. A key element of the programme is to deliver LFC coach education clinics, which will help to improve the standards of local football coaches in Kunming, ensuring that the LFC International Academy leaves a lasting legacy.